One of the most anticipated films of the year has now finally been unveiled to the moviegoing public, and boy is there a whole lot of discussion going on. 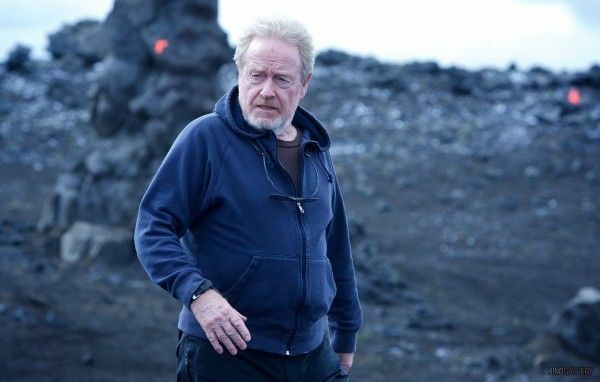 Ridley Scott’s Prometheus was met with a passionately mixed-to-positive reaction, with those on both sides of the fence ardently stating their case for why Prometheus is awesome and/or terrible. Interviews with many of the key creative people involved—including Scott and co-writer Damon Lindelof—began to hit the interwebs days before the films release, and I’m assuming a good many of you (like me) steered clear of any and all Prometheus related interviews for fear of spoiling the film before seeing it yourself. As such, we’ve got a lot of catching up to do. Those who saw the film were probably left with quite a few unanswered questions. 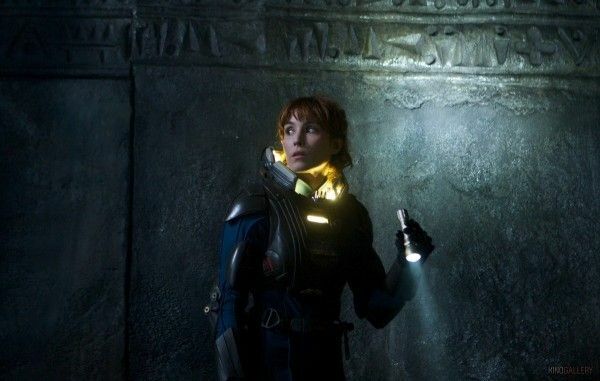 It’s no secret that Scott really wants to make a follow-up to Prometheus in which some of those questions are further explored and answered, so we’ve rounded up what we know so far about said possible Prometheus sequel. Hit the jump for a recap. Obviously MASSIVE SPOILERS for Prometheus follow. 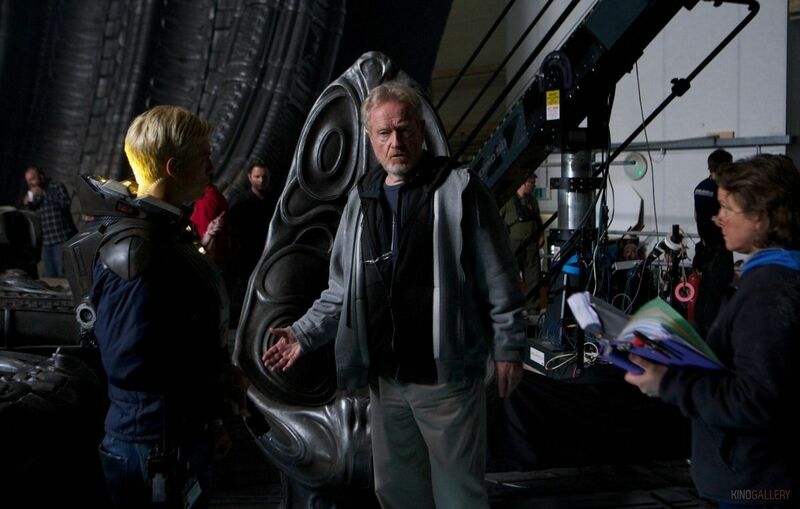 As most everyone knows by now, Prometheus was originally conceived as a two-part prequel to Scott’s Alien. As development moved along, Lindelof was brought in to take a look at the script and give some notes. He responded by suggesting they tone down the prequel aspects of the script and further develop the larger themes and ideas of the creation of humanity, the Engineers, etc. “Because [the Engineers] are such aggressive fuckers … and who wouldn’t describe them that way, considering their brilliance in making dreadful devices and weapons that would make our chemical warfare look ridiculous? So I always had it in there that the God-like creature that you will see actually is not so nice, and is certainly not God. As she says, “This is not what I thought it was going to be, and I think we should get the Hell out of here or there won’t be any place to go back to. As for Scott’s involvement, he’s a bit of a collector when it comes to future projects. He’s gearing up to direct The Counselor, and he also really wants to make the Blade Runner sequel that he’s developing right now with screenwriter Hampton Fancher. 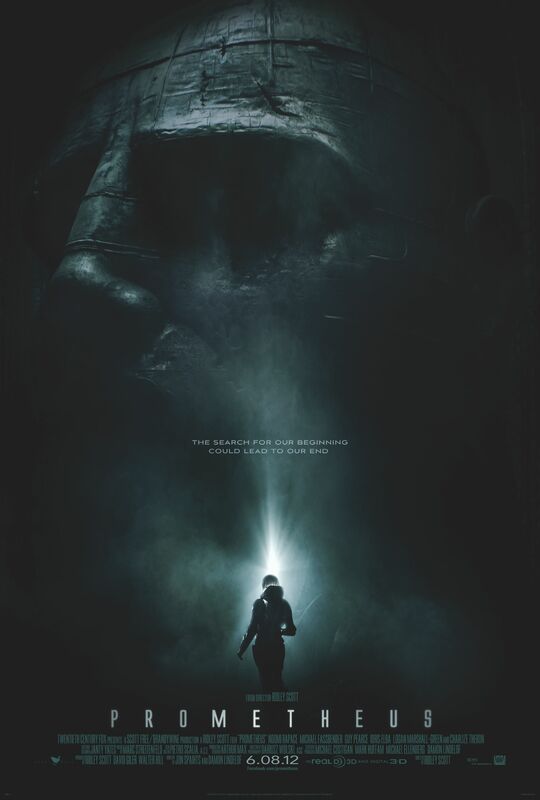 Prometheus scored the 10th highest opening weekend for an R-rated movie, and if it holds up next weekend Fox will most likely be pushing Scott to make Prometheus 2 his next film after The Counselor. 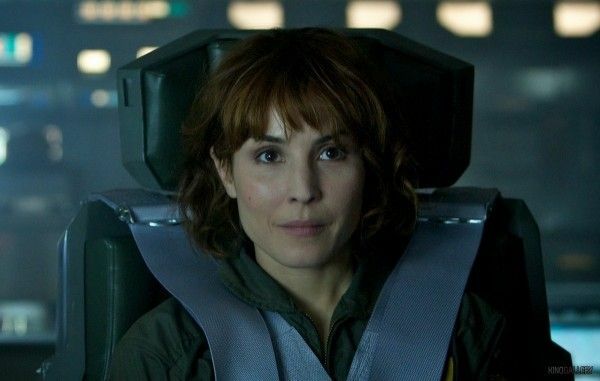 We’re currently in the wait-and-see stage, but I’d love to see the story continue with Rapace and Fassbender’s characters. From what we’ve gathered here, the follow-up will most definitely center on Elizabeth and David traveling to where the Engineers came from. We’ll most likely see Elizabeth try to answer the question of why humanity’s maker felt Earth deserved destruction, but Scott makes it clear that the Engineers are not nice people and this “Paradise” is not all rainbows and happiness. 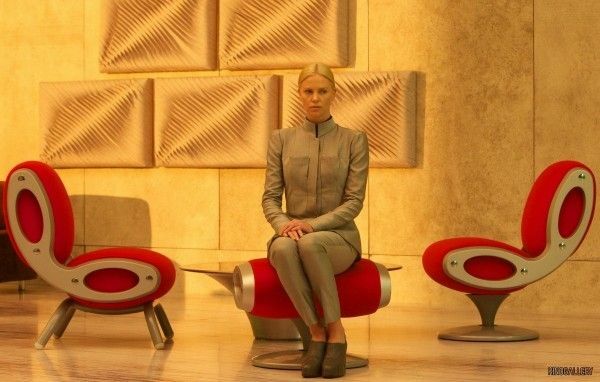 The director seems high on tackling issues of religion and that may or may not play a role in the explanation for humanity’s fate, but it’s a bit too early to start waxing poetic on what the themes of this possible sequel might be. Lindelof is currently rewriting World War Z and he just signed a development deal with Warner Bros. Television to start developing his next TV series, so his involvement in the follow-up is up in the air. Compounded with Scott’s busy schedule and Fassbender and Rapace’s in-demand status, the logistics of moving forward on the follow-up could prove tricky. 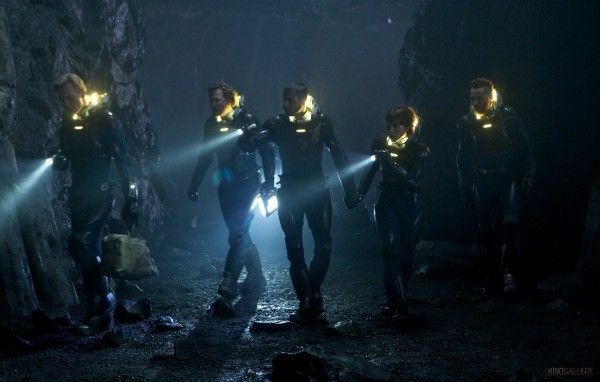 That said, I’m pulling for Prometheus: Paradise to come together sooner rather than later if only to see a space road trip movie with Elizabeth and a slightly decapitated David front and center.